it is set in a place I have wandered, the Delhi Markets. Those places are crowded. I have actually ridden a push bike in them in the old city of Delhi at Chowdrik Chow. It was insane, people, carts, goats, bikes, scooters, people with merchandise on their heads, cows, more people, more scooters, narrow lanes, more people, shops, noise- horns, bells and much chatter and yelling. Imagine being in those narrow lanes with the daily carnage of the Old Delhi ways and a bomb going off. It is a recipe for complete devastation. This is what this book is about- two brothers die, one brother lives. Mansoor survives, bearing the physical and psychological effects of the bomb. 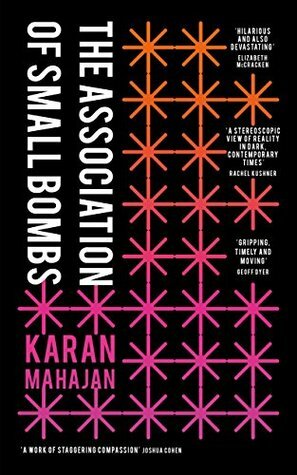 After a brief stint at university in America, Mansoor returns to Delhi, where his life becomes entangled with the mysterious and charismatic Ayub, a fearless young activist whose own allegiances and beliefs are more malleable than Mansoor could imagine. Woven among the story is the gripping tale of Shockie, a Kashmiri bomb maker who has forsaken his own life for the independence of his homeland. 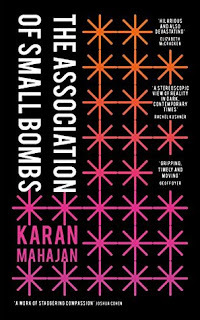 "In this brief and surreal novel - the author's second - Karan Mahajan probes the illogic driving catastrophist terrorism, and the damage done to three families over the course 15 years. The book confounds expectations by not attempting to delve into those choosing violence through a path of devoutness. In fact, Islam is only present in the book in order to demonstrate how residents of Delhi and India at large make assumptions about Muslim citizens, the sort of assumptions that drive the BJP, current Prime Minister Narendra Modi, and indeed a large percentage of Hindu citizens throughout India. 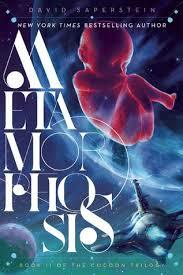 The book does not reach any uplifting or satisfying moral conclusions, nor does it plunge the reader into despair. It creates a networked, bottoms-up view of how violence against the innocent can be justified in the minds of operationalists - some with agendas, but many without a clear idea of how they become monsters. And ultimately, that is what makes this novel scarier than any run of the mill political mystery could be." 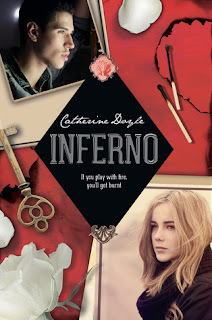 Genre: Nice combo- Love, Fantasy, History and France! 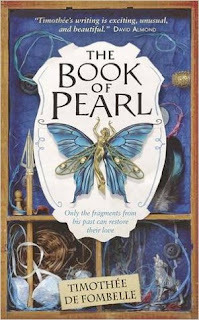 The Book of Pearl is a modern fairy tale with elements of the classics, filled with strange places, magical laws and intriguing mysteries. 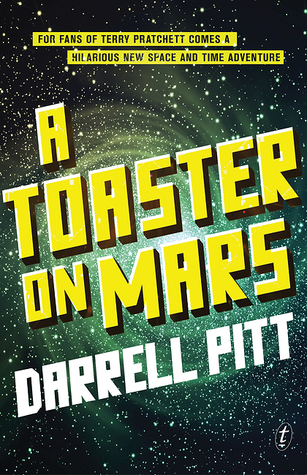 It was engaging and tasteful and came together like a tidy tapestry. 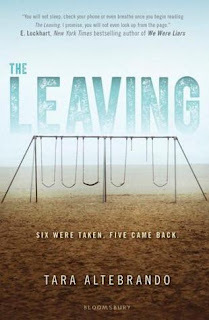 Delightfully written, it is the interwoven stories of four people, connected by various threads, both direct and indirect. Enchanting and beautiful, with a tinge of the unusual. "It is, overall, the story of a boy from a world we have ceased to believe in. Snatched away from his haunted, spectral life, he is deposited into our world, France, sometime in the 1930s. Here, he makes a new life for himself, joining the Pearls in their quaint marshmallow shop. But war changes everyone, and it transforms the boy into Joshua Pearl, opening his eyes to our harsh reality. Joshua clings to the memories of his past, and as those begin to fade, he sets upon a quest to collect strange objects, fragments from tales that had already been told. Fragments that he hopes, one day, will see him home. Entwined with Joshua's tale is that of Oliå, once a fairy, now just an ordinary, albeit beautiful, girl. Love led her through into our world, but along with it came a curse. If he ever sees her, she will cease to exist. And so she must remain in the shadows, a ghost, observer and sometime savior, never able to touch, or even see the recognition or love in his eyes. Never aging, never changing, and never able to truly settle. Lovingly interspersed amongst these tales is the true fairy tale that begun it all: A boy, all but alone in his island sanctuary, who falls in love with a fairy. The prince, a cruel ruler with a cold heart and a desire for revenge on the sister deemed responsible for the death of their mother; a hunter who will never cease the hunt until his quarry is found. And, shrouding them all, the final narrative, that of the unnamed author, whose chance encounter, as a teenager, with a beautiful girl, followed by rescue from a mysterious man, will have echoes on, into his future. What would you do if mysterious holograms suddenly started to appear from the sky from all over the world, bringing a warning of impending destruction of Earth? Anxiety disorders are real, and paralyzing, mix this with the end of the world and huston we have a problem! 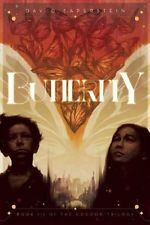 As if Alexandra Lucas’ anxiety disorder isn’t enough, mysterious holograms suddenly appear from the sky, heralding the end of the world. 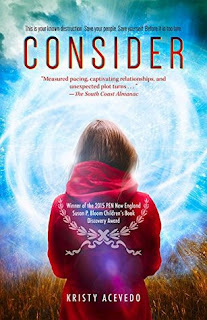 They bring an ultimatum: heed the warning and step through a portal-like vertex to safety, or stay and be destroyed by a comet they say is on a collision course with earth. For 17 year old Alex, life is full of choices. And every decision she makes - about her boyfriend Nicholas, her parents, where she's going to go to school after graduation - only serves to heighten her already out-of-control anxiety. And then the unthinkable happens: vertexes (or portals) appear all over the planet, inviting people to leave before a comet hits the earth and wipes out humanity, giving them several months to consider their choice. What to do? Well what would YOU do? I asked myself that throughout the book. 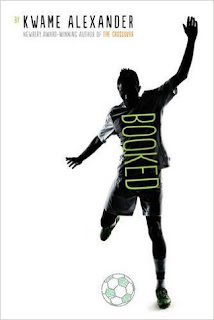 Acevedo takes us on a wild, yet authentically human ride in this book. We care about the characters: their struggles, their fears, their hopes. 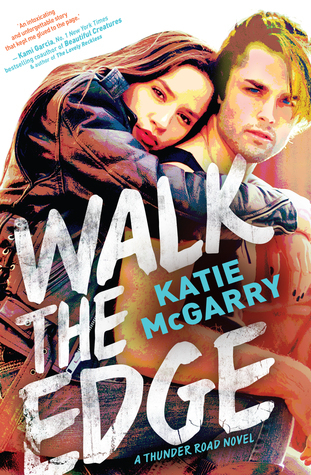 This cover has Johnny Depp written all over it, but a chic version. I think this makes me like it.. and be intrigued! Thank you for restoring my faith in the YA Fantasy genre. I’ve had bad luck with it this year and I really needed someone to show me that the genre wasn’t the problem, and I wasn’t the problem, but instead I was just reading the wrong books. Thank you for making me feel so much. For filling me up to the brim with emotion. Love, hatred, happiness, despair, frustration, glee, anxiety, passion. 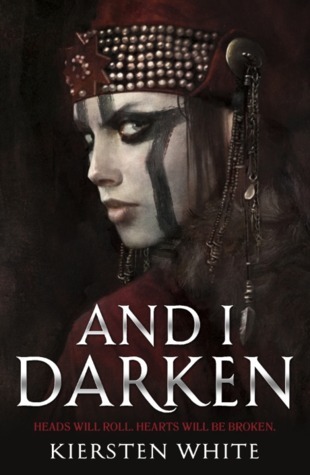 I felt it all while reading And I Darken and I can’t remember the last time a book did this to me. Thank you for writing about a setting and time period that I’ve never seen before and thus gave this book an air of originality and doing it so excellently. Thank you for not shying away from making your book all about politics. Thank you for making those political aspects easily accessible to anyone regardless of prior knowledge or reading experience, without ever trivializing it. Thank you for all the fleshed-out, authentic characters, but most of all Lada. Thank you for Lada. Just that. Thank you for the ending, which was exactly what I wanted to happen throughout the entire second half of the book, but wasn’t sure would. Thank you for slowly killing me from the inside in the best possible way. You’ve probably put me in a book hangover for the rest of the year. Thank you for giving me everything I never knew I wanted. “I cannot afford to lose you, too"
"I love a good dystopian, in fact they have quickly become one of my new favorite genres. 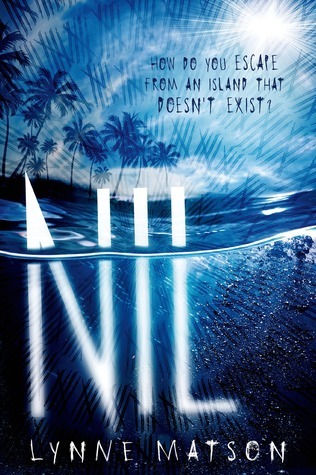 Not only do I love a good dystopian but I also love a good romance even more, combine the two and I have one read I am really looking forward too and that is exactly what I got in NIL. "If you are going into this one expecting blood and guts and gore, you are going to be sorely disappointed. This isn't the Hunger Games, it is a book all it's own and what a book it is. I am not going to blog these- check out the blogs in the first of series, but just want you all to know at Cambridge High School we have them ready for your enjoyment!!! I am so annoyed by this book, when it came to my desk I nearly chucked it across the room. Then this book arrives- our book- someone had beaten us to it. 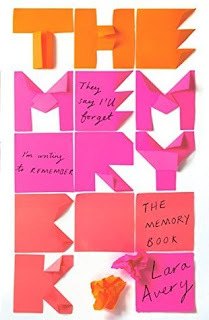 "The Memory Book by Lara Avery, a romance that unfolds through a series of journal entries, text messages and other mementos and features a teen girl diagnosed with a rare disease that causes memory loss." 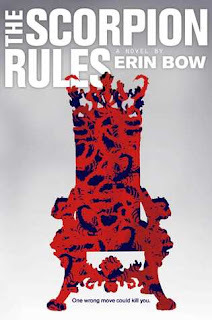 Sometimes you just need a fun book- I read to serious stuff sometimes- this one will make me chuckle and chill! “We are not lost mermaids with seaweed hair and coins for eyes, but human girls, alive and found. "The world has been divided between Above - where the air was so polluted that people could no longer survive for long - and Below - where the people have been blessed with long and healthy lives. Rio, the main character, lives in Atlantia, an underwater city in the Below, and has long dreamed of experiencing what it would be like to walk Above, to feel real dirt between her fingers, to feel the sun on her face and the wind in her hair. 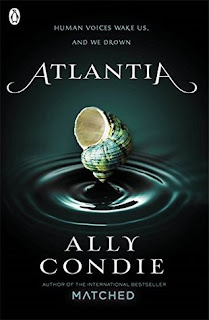 Her twin sister, Bay, has always known that she wanted to stay underwater in Atlantia, the city she loves. "A whole generation oblivious to the truth of the human condition is a recipe for the collapse of society. "- mate that is a scary statement and I reckon that generation is not to far away! We sometimes I think allow what is not right to occur because we somehow allow tolerance and acceptance to override decency. Gun Control in the USA is a great example... homelessness is another. This quote I shall mull on over my lunch time meander! 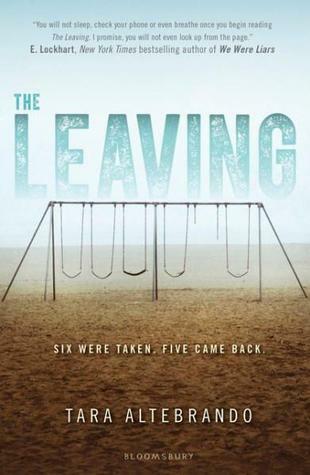 The Leaving is a mysterious tale of six children who went missing without a trace and came back as 16-year-old teens who don't exactly remember everything happens to them in the past few years of their disappearances. And now everyone wants answers. Everyone wants to know the truth. Hmmmm I wonder who the author is talking about! 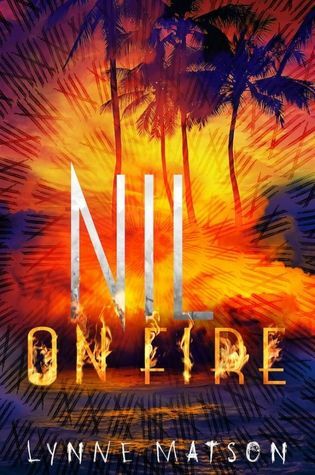 Lieutenant James Shelley, who has an uncanny knack for premeditating danger, leads a squad of advanced US Army military tasked with enforcing the peace around a conflict in sub-Saharan Africa. 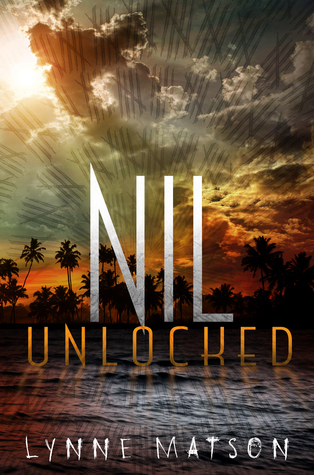 The squad members are linked wirelessly 24/7 to themselves and a central intelligence that guides them via drone relay; and unbeknownst to Shelley and his team, they are being recorded for a reality TV show. When an airstrike almost destroys their outpost, a plot begins to unravel that is worthy of Crichton and Clancy best. The conflict soon involves rogue defense contractors, corrupt US politicians, and homegrown terrorists who possess nuclear bombs. Soon Shelley must accept that the helpful warnings in his head could be AI. But what is the cost of serving its agenda? Near future military SF combined with political thriller elements make this a fast-paced and entertaining read. - Justine! "Tell us, my son: how are you faring in those strange lands, so far from home? Whom have you chosen to walk with, to talk to: some good woman, some kind man? " 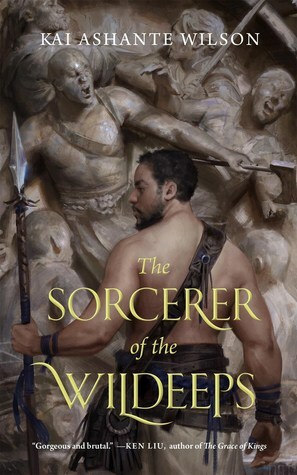 Demane is a healer and sorcerer, working for a band of mercenaries who guard merchant caravans on the perilous road between market cities. Now, he must face the challenge of passing through the Wildeeps -- an enchanted jungle filled with deadly creatures virtually unknown in his own time and place -- where it will be up to him and his magics to keep his brother mercenaries, the caravan, and his lover safe! THE BBC-its legendary, its reputable, its British, its honorable and it had Top Gear! I remember living in the UK and loving listening to the BBC especially Wimbledon- the commentary was brilliant! The BBC became my friend as I sat at home with a new baby and it taught me the world. This book is about the intrigues of the BBC. Now here is a stunning quote! London, 1926. 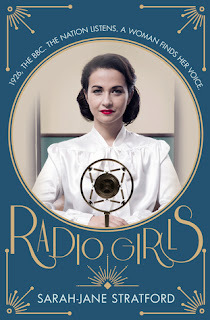 Maisie Musgrave is thrilled to land a job at the fledgling British Broadcasting Corporation whose new and electrifying radio network is captivating the nation. Famous writers, scientists, politicians – the BBC is broadcasting them all, but behind the scenes Maisie is drawn into a battle of wills being fought by her two bosses. John Reith, the formidable Director-General and Hilda Matheson, the extraordinary Director of Talks Programming, envisage very different futures for radio. And when Maisie unearths a shocking conspiracy, she and Hilda join forces to make their voices heard both on and off the air.. I see this in the library, in fact I am looking out my window to it right now! Girls- giggling, pointing, mocking and being generally teen- some days it makes me so mad and it makes me remember my days as a Yr 10 and the spite and venom that was poured out on any unsuspecting YR 10 girl who just happened to be not one of 'them'- it also reminds me of being in a triangular friendship- Rotten days! 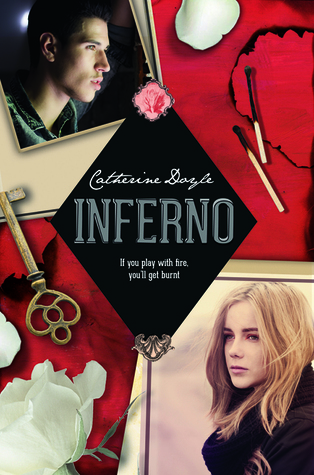 This book is about the jealousies, passions and conflicts involved in teen girl friendships. 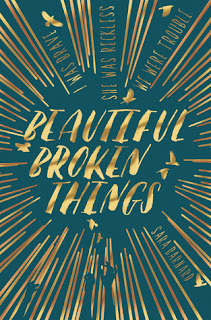 I love books that explore this subject - the way teenage girls get so wrapped up in one another, loving and hating each other with a furious intensity. It tackles that intense feeling experienced when one of your best friends becomes better friends with someone else and what it's like to see your friendship falling away – and not knowing what to do about it. 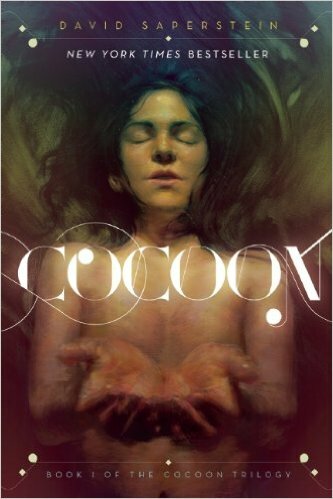 Cocoon, which was a New York Times bestseller upon its release (and an Academy Award–winning film of the same name), is the amazing beginning of the Cocoon trilogy, which spans twenty years and was a pioneering science fiction novel by David Saperstein that still resonates with audiences today. 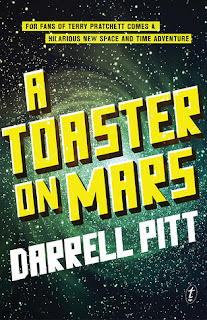 Fifteen years before the start of the Earth’s third Christian millennium, after a five-thousand-year absence, Antarean space travelers have returned to Earth. After the destruction by the impact of an asteroid, a few islands were all that remained of the continent above the waters of the Atlantic Ocean. "United States of Japan is much more than your typical alternate history novel. It is also a thriller novel, a spy novel, and a detective story. 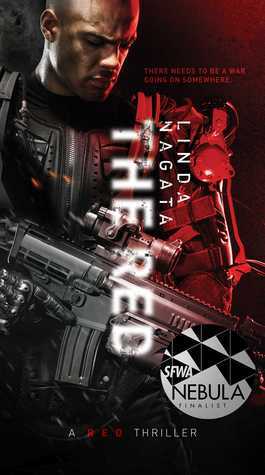 The author’s imagination is running wild, and we see that with all the cool gadgets and weaponry. Besides the technical wizardry, the book has almost non-stop action. Character development is another strong suit. 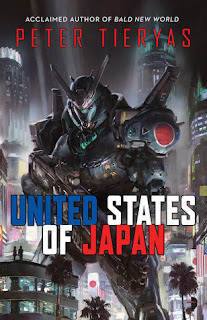 I would highly recommend United States of Japan if you enjoy reading alternate history and thriller novels." There are amazing quotes in this book- wow quotes!